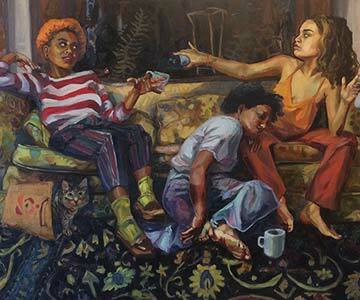 Recent Milwaukee Institute of Art and Design (MIAD) alumnae Ariana Vaeth and Caitlyn Doran are two up-and-coming painters to watch. 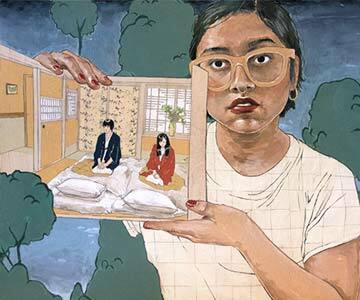 Vaeth explores the melodrama of everyday life with paintings that are an autobiographical look at her own transition into adulthood. Doran’s paintings of everyday moments exude a dreaminess or contemplative mood. Her unique visual narratives are open to interpretation and provide the viewer with an opportunity for storytelling. Opening Party: Thurs., November 2, 5:30 p.m. Artist Talk: Thurs., November 2, 7:00 p.m.
Open and free to the public every day, 10:00 a.m. – 5:00 p.m.